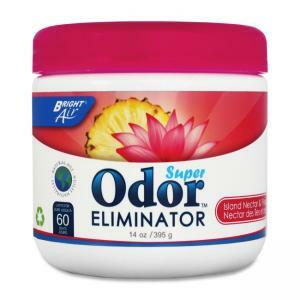 Practical odor eliminator offers a powerful way to eliminate malodors while delivering a consistent, natural, fresh fragrance of Island Nectar and Papaya. 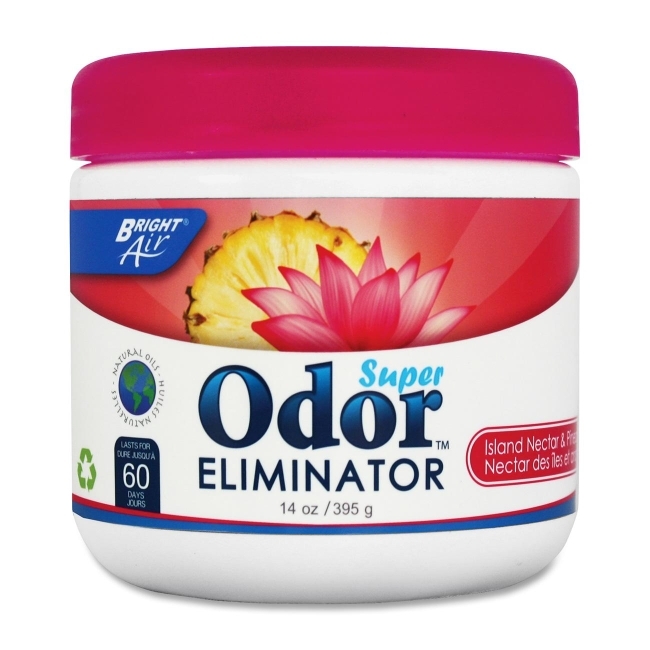 Super Odor Eliminator Air Freshener can be placed in both large and small places in or around the office including closets, storage areas, kitchens, breakrooms, garages, basements, cars, trash cans, and more. Clear Visual Use Indicator shrinks uniformly in size to help show when it's time to replace. Super Odor Eliminator is infused with natural oils and lasts up to 60 days, effectively eliminates odors in large spaces up to 450 cubic feet.